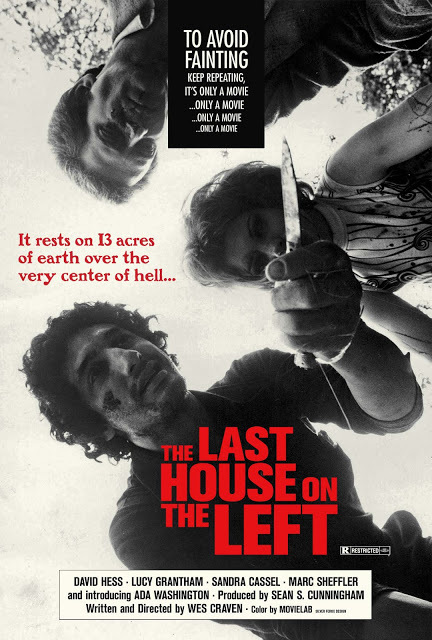 Scott Murphy’s Video Nasties Part 1 – The Last House On The Left! I have been a horror movie fan for quite some time now (since my early teens) and like all sorts of horror from slashers to zombie flicks to haunted house films to psychological horror to sci-fi horror, the list goes on. Like many horror fans before me in recent years I have taken a particular interest in the DPP list (or the Video Nasties list as it is more commonly known). These are the 72 films that were effectively banned under Section 2 of The Video Recordings Act which was rushed in to being after several scare stories surrounding these “video nasties” in the newspapers. A campaign was then started to have these movies removed from the shelves fronted by Mary Whitehouse, The Daily Mail and Conservative MP Graham Bright (a shuddersome combo there). This, like many of these things, instead of burying these films simply drove them underground with many people getting copies shipped in from other countries. It also gave them an infamy and a strange sort of glamour that they would lack without the list. As honestly there is a number of the movies that feature that would have been forgotten were it not for their place on the list. In the 32 years since the list was introduced and as censorship became looser (especially after James Ferman stepped down as Director of the BBFC in 1999) many of the titles that make up the list have been re-released uncut. That however has done little to abate the grip the list still has on horror fans imagination and the illict thrill they get from watching something formerly banned (or in some cases still banned or with some cuts). Originally: Refused cinema certificate in 1974 but was released uncut on video in the early, which until the act did not fall under the BBFC’s remit, post-act became part of the 39 films prosecuted under the Obscene Publications Act (the other 33 were either not prosecuted or were unsuccessfully prosecuted). Due to the “Video Nasty” list it the UK has often been seen as draconian in terms of censorship (certainly pre-1999) in the western world. 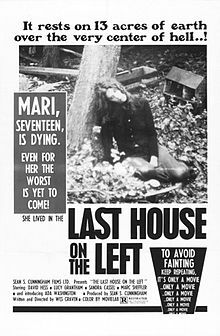 However while “The Last House on the Left” got into the most hot water here, it should be stated that Britain was far from the only country that the film ran into censorship issuses. It was generally a controversial film for the time and in some ways still is.It marked the feature film debut of Wes Craven who as we all know went onto become a horror maestro but at the time was a former English professor who had worked on some pornographic films (behind the camera, obviously!). For a movie synonymous with gory violence and sleaze it has somewhat arty origins as it is actually a more extreme reworking of Ingmar Bergman’s “The Virgin Spring”. The story centres on Mari (Sandra Peabody) who is off to a concert to celebrate her 17th Birthday with her best friend Phyliss (Lucy Grantham). However before they make the concert they are taken captive by the psychopathic serial killer Krug (David Hess) and his gang after a deal to get some weed goes sideways. Another big reason is Krug himself. Most of the cast are pretty decent it must be said but it is David Hess as Krug that dominates every scene he is in. It is often easy in horror to separate role from actor often because of the quasi-mythical nature of a lot of horror killers. Hess here though is disturbingly convincing in his role, you could easily believe that he was indeed a demented killer. 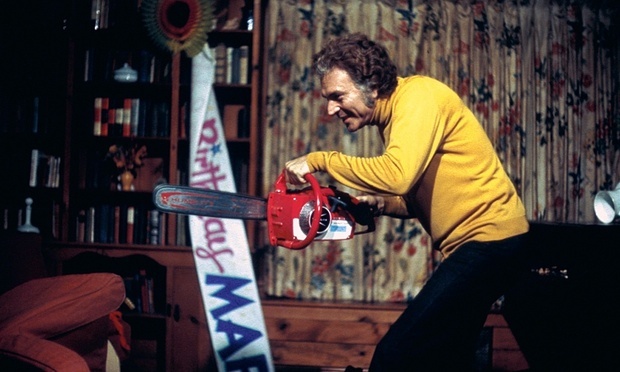 Hess would go on to appear in many horrors but, apart from in a similar role in “House on the Edge of the Park”, he would never again reach the same raw intensity he did here. While there is a great many strength’s to Craven’s debut feature it is not flawless. One of the biggest flaws is the introduction of two comedy cops who are on the trail of Krug and Company. Now there is a certain logic to employing some humour in order to release the tension and make it so it is not an unremittingly grim watch however there is better it could have been done. The slapstick antics of the cops make them feel like they are actually from a totally different movie altogether, “Smokey and The Bandit” perhaps (yeah I know that came out 3 years after this did). As there scenes happen largely in isolation it is like the plots screeches to a halt each time they come on screen. It also gets a little over the top in the second half after the gang’s car breaks down and they have to take shelter at a house which just so happens to be…you guessed it…Mari’s parents’ house! The tension and unease in the scenes where the parents are unaware that these are their daughter’s killers are actually great but it is when they take their inevitable vengeance that things get a bit wacky. That however does little to dim the power of the proceedings up to that point and the ending where the camera focuses in on the parents and you can see the toll their revenge has taken on them is haunting. nothing short of electrifying as Krug. Also remarkably 44 years on it still has the power to shock even today’s jaded audiences.